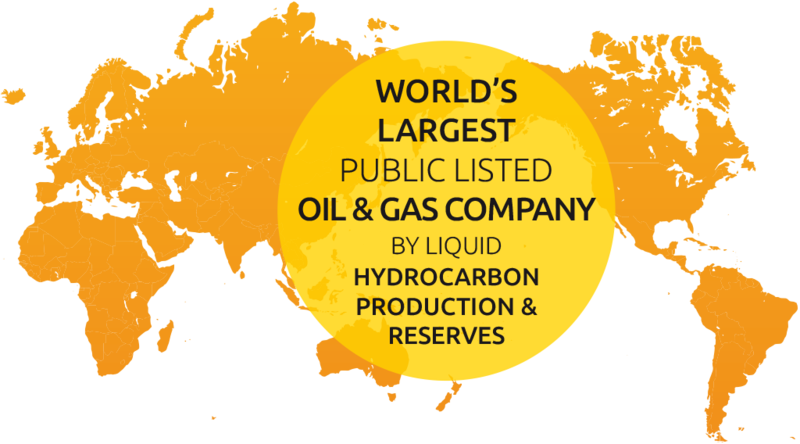 Rosneft is the leader of the Russian petroleum industry and the world’s largest public oil and gas company by liquid hydrocarbon production and reserves. The Company’s reserves of oil and condensate in Russia amount to 12.7 billion tons and natural gas reserves amount to 7.9 trillion cubic meters. The Company’s hydrocarbons output in 2017 reached 281.7 million tons of oil equivalent - up by 6.2% year-on-year. Rosneft has taken the lead in natural gas production among Russian independent producers. The Company is the leader in crude oil refining in Russia and owns 13 refineries in Russia, as well as a shares in 5 refineries abroad. In addition, Rosneft operates a retail network of approximately 3 000 filling stations. 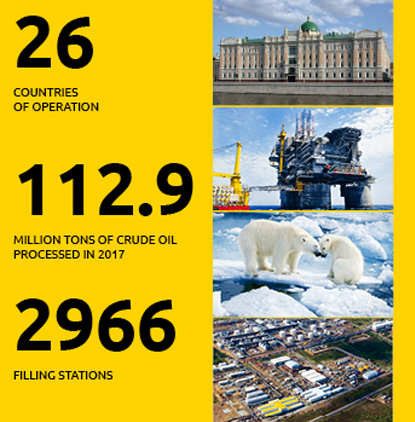 Rosneft’s exploration and production geography spans across all key oil and gas provinces in Russia. The Company also implements projects in India, Venezuela, Brazil, Vietnam, Norway, Canada, Iraq, Mozambique, China and Indonesia. Environmental care is an integral part of the corporate culture and social responsibility of Rosneft. In order to preserve biodiversity in the regions of activity in the Arctic, the Company has been carrying out comprehensive research and expedition work at the Company’s Arctic license areas since 2012.